Company Director, Physical Coach, Technician, Human Resources Director,… A trainer needs to fulfill a multitude of roles and functions to ensure the smooth running of his or her yard. The complexity of the job is further complicated by the variety of tasks, managing each horse individually not to the mention entries and making decisions on each individuals racing program. Faced with these challenges, it is essential to surround yourself not only with the right people but also to choose the right tools that assist in decision making efficiently, quickly and more easily. Tracking technology can help. 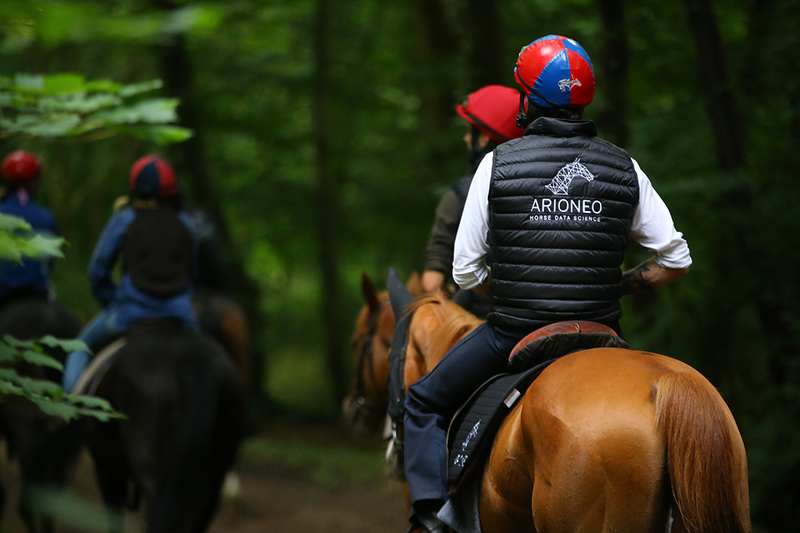 At Arioneo, all our products are designed with passion in order to assist in providing data to improve the performance of horses while preserving their physical integrity. By equipping trainers, vets and horses, we provide key information that answer fundamental questions related to the progress of each horse and potentially the yard’s performance. This article is intended to assisttrainers, whether they are familiar with horse monitoring or not. It sheds light on how EQUIMETRE helps to find quick and effective answers every day. Any data provided to the trainer through tracking technologies is intended to help and support daily decisions. Physical preparation: How to improve the physical condition of their horses and reduce the risk of injury? Potential of each horse: How to develop horses individually to reach their maximum potential? Success: How to be more successful in each race? In our next articles, we will introduce answers to these questions. How to monitor the temperature of your horse with Orscana ?